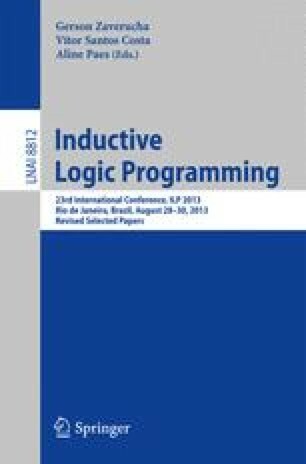 Recent work has shown how a meta-level approach to inductive logic programming, which uses a semantic-preserving transformation of a learning task into an abductive reasoning problem, can address a large class of multi-predicate, nonmonotonic learning in a sound and complete manner. An Answer Set Programming (ASP) implementation, called ASPAL, has been proposed that uses ASP fixed point computation to solve a learning task, thus delegating the search to the ASP solver. Although this meta-level approach has been shown to be very general and flexible, the scalability of its ASP implementation is constrained by the grounding of the meta-theory. In this paper we build upon these results and propose a new meta-level learning approach that overcomes the scalability problem of ASPAL by breaking the learning process up into small manageable steps and using theory revision over the meta-level representation of the hypothesis space to improve the hypothesis computed at each step. We empirically evaluate the computational gain with respect to ASPAL using two different answer set solvers. This work is partially funded by the 7th Framework EU-FET project 600792 ALLOW Ensembles and the EPSRC project P44745.